Hi there everybody. Today I'm going to introduce a new IDE and programming language for ClassPad. Would someone do me a favor and cross-post this accross some other forums? Looks good, will surely increase the number of add-ins available for ClassPad. Any ETA for the first beta release? Hm. Why aren't there enough contests for the CP where MP could win a prizm and a fx9860? Have you tried testing it woth mono yet? Also the post date suggests that it's a joke, I wonder where the original screenshot come from. 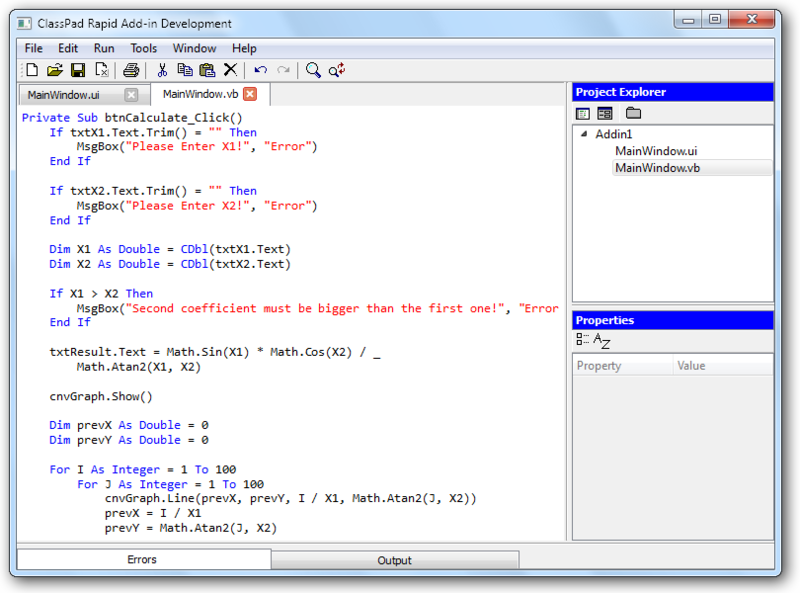 It looks like a nice IDE for Visual Basic. Come on, why should MicroPro kid us? I don't want to believe that this is just a joke . Seems this is getting some attention; so let me answer this before more misconceptions arise. But wait, the project is real! Most of the UI and some of the designer part are already made. Actually I hope I can complete the compiler part as the thesis for my B.Eng degree this year. Considering the above, this program may become ready and be released this summer (hopefully!). Releasing the screenshots soon was a way to push me forward; because I am so lazy! btw thanks for crossposting back then, flyingfisch! Well, Years since i last came peeking over here. That is a VB editor for CP! Great stuff i should say!. 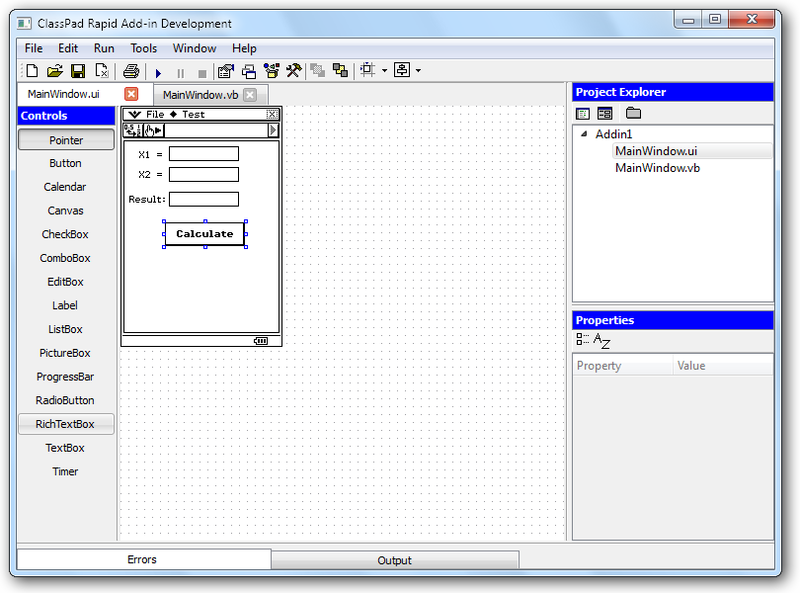 I had to learn VBA to handle Solidworks and Excel APIs so this comes handy. Great stuff MicroPro. Time to dust off that classpad. Is this project completely dead ? However I hope I could do some more activity soon, both in development and in forums after my long absence.